Look out, X, Y, and Z, there’s a new letter in town: C! No, we are not learning the alphabet, we are talking about generations. Generation C is a powerful new force in culture and commerce. They are empowered by technology to search out authentic content that they consume across all platforms and all screens, whenever and wherever they want. Traditionally, generations are defined by the year of birth. However, Generation C is more a group who share similar traits, ideologies or lifestyles and can span multiple age ranges. For this new group of consumers, the Internet is the way they live their life, and it’s second nature for them to engage with authentic content across all platforms and all screens, whenever and wherever they want. Because they thrive on Connection, Community, Creation, and Curation; they’re engaged and they want their voices to be heard. They’re not a generation in the traditional sense – about 65% of Gen C are under 40, but regardless of how old they are, they’re the sort of experts who shape opinion and lead thought. Simply put, Gen C isn’t about when or where you were born; it’s a way of life. Technology is seamlessly integrated throughout Gen C life. They live in the present tense, connecting across all screens, all the time, everywhere. 59% say the Internet is their main source of entertainment and 38% turn to their phone first when they want to be entertained, with 66% spending the same amount of time or more time watching online videos compared to TV. They haven’t abandoned traditional TV viewing altogether, but they have augmented it with shares, likes, comments, and retweets. Generation C feels an urgent need to engage with the world, satisfying that hunger via community – both real, consisting of select friends and family and virtual including followers, fans, and acquaintances. They engage in several distinct groups simultaneously, mixing influences from their friends, their passions and the world around them to create a single pool of friendships and associations. Always on and always interacting, and happy to interact with brands too. The act of creating has become second nature to Gen C, but they’re selective, only adding something when they think it’s relevant and they can have an impact. Eighty-three percent of Gen C has posted a picture they took but only 42% post pictures every week, while 65% have uploaded a video they created, but only 25% upload videos every week. Whatever the content, for Gen C creativity is made up of two parts; first, there’s the act of creating something, and second, the act of sharing it, both promoting self-expression. Gen C give back more than they take. They’re naturally born curators, quenching their thirst for connection by seeking out share-worthy content, including from advertisers, which they can use to provoke a reaction and reinforce emotional connections within their community. And inspiration and information are sought from a wide range of sources. Gen C is often time-poor and has become incredibly selective when navigating the media landscape, optimizing consumption for maximum returns. They turn to trusted advisors to help them navigate the space, using email lists, social media feeds, and content aggregators to map out a media ecosystem that satisfies functional and emotional needs. And when they find something they love, they go deep, becoming a valuable source of information themselves. It offers them inspiration through entertainment and education every moment. More than one in three say YouTube is their most important or second most important source of entertainment online, and 46% think of YouTube as an alternative to TV. Here, Gen C can find content from friends, other creators, and brands, which they assess in the context of that moment. And if the content helps them express their purpose, they will share it! Are you Gen C ready? Businesses will have to adopt a new approach as Generation C continues to grow in upcoming years. 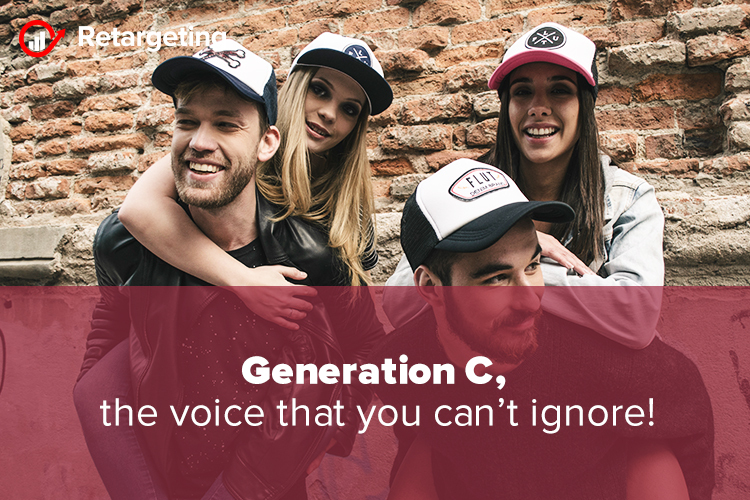 Generation C openly welcomes brands into its social circle. About 39% say they think of YouTube as a platform to engage with brands. Being engaging, authentic and share-worthy is the cost of entry. Advertising and content both put to the same test; they’ll either switch off if it’s not relevant or engage if it is. To appeal to them brands should emphasize the sort of authentic values and passions that can be rallied around, and then provide a rallying point. How the IoT will change Digital Marketing!